Thread: Just went from 18T cog to 16T on my Kona Unit. I can now feel the burn... followed by the jelly when back at home. I think I've found my sweet spot though. Currently now running 32/16 and feel I've found my mark. Anyone else running 32/16? I can find my jelly at 18 unfortunately! Is that 26" or 29" or that other one? It's a 2012 Kona Unit 29er. 15T. It's pretty flat around here. 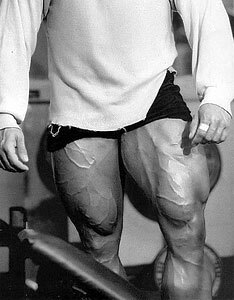 You must have tree trunks for legs. 15T would be an amazing workout for me. I'm jealous. One day maybe. I used to be 33:15 for 26ers on my MUSS that I used for commuting and off roading. I'm now 33:16 with 650bs. The key to this gearing working is the fact that it's pretty flat around here, here being MN for me. If I was near the mountains with more elevation it would have to be at least 32:18 or lower. crap, my phone got hacked. I just took that pic yesterday, hadn't posted it yet though! No. I'm more of a tall, wiry type with bad knees. 15T is a leftover from my 26" SS. Works with 29". I can still clear all the rolling hills and short punchy climbs on flat pedals. Everything is hard packed or hard packed with gravel on top. And with 15T cog, chainstays are at their shortest after the initial stretching of the chain. Last edited by I.V.A. ; 05-23-2015 at 12:52 AM. I don't think you're giving yourself enough credit. 15T is a monster cog even on flats. I think so anyway. Well done. Impressive. Man, if I went to a 15 or even 16 where I live (and with my fitness level) I'd just leave my Unit at home and go hiking ('cause that's what I'd be doing anyway!). I expect to be at 32/20 for the foreseeable future…. You'll know when you're ready for a jump. The beauty of SS is that cogs are cheap and easily changed. You can experiment with out breaking the bank. I use 20T cog for trips to bigger hills. That usually means 30 minutes to one hour of climbing on crappy asphalt roads or hard pack/gravel. With occasional rests, of course. I still can't struggle trough in one go. 32/21 on the Unit 29" is a little high geared for the trails around here. 32/20 on the 26" is about right though. Any gear ratio within reasonable limits can be a lot of fun! I like to change gear ratios throughout the year, from 1.4:1 to 2.5:1 with equal tires on 29 wheels and the same cranks. I feel riding always in one ratio makes my legs good for this ratio only, so I like to give them different experiences to keep reasonable efficiency level at both low- and high-cadence. Plus different ratios make me feel as if I was riding "different" singlespeeds. Higher gear is perfect for flat hardpack and gravel, when lower one excels on climbs and tecnical forest trails. Whenever I'm tired of riding particular roads or trails, I can change my gear and my focus on where and how I ride. Ride what you find good for you, don't listen what people say "right" or "wrong"! Just tried 32/18 for a forestry road ride this weekend. Too high geared, too grindy. A better workout for sure, but a lot more walking. 32x16 here, too. It is pretty flat but some of my double-track has sugar sand. I have to get a high rpm to clear sections. I started on a SE Stout with the 18T and within a couple weeks had a 16T. I'm now on a El Mar and still have the 16T.